Dr. Enock was professional, helpful, understandable and efficient. Thank you! It is always a positive experience coming to Dr. Enocks office. His professional yet gentle approach provides my child expert care while making her feel totally comfortable. Dr. Enock and his office staff always accommodate us despite constant technical difficulties that have arisen with my child’s hearing aids. OCAC eased our challenge of having a child with hearing loss. At first I felt some anxiety about getting a new hearing aid. Will I like Dr. Enock? Could we relate to each other? When I met the Doctor’s staff, I was so pleased. She was friendly and welcoming. When I met with Dr. Enock, he put me at ease right away. He explained the way the hearing aid worked, what I could expect in various situations and he assured me he will give me sufficient time to make a decision whether I like the hearing aid or not. A very satisfied patient. Manchester, N.J.
A doctor that is concerned, cares, and interested in improving ones hearing. Money is not his only interest. His pleasant, cordial mannerism is amazing. I have had a great experience with Dr. Enock! His attentiveness and professionalism have made me confident that I am receiving competent care. I have been encouraged to come back, even a zillion times, with all my questions – how reassuring! Thank you, Thank you. I have only praise for Dr. Enock. He is truly an expert in his field, as well as clear in his explanations and patient enough to answer all questions posed to him. 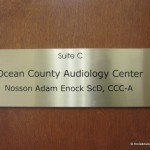 If anyone needs audiology services, Dr. Enock is their first and only stop! 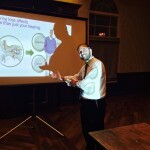 He will work with his patients to find the right solution – guaranteed!